At Electric Control Products we take pride in designing and manufacturing safety equipment for conveyor systems. Our products range from switches to other safety equipment. At Electric Control Products, we take pride in designing and manufacturing safety equipment for conveyor systems. Below you will find our product range, from switches through to other safety equipment. 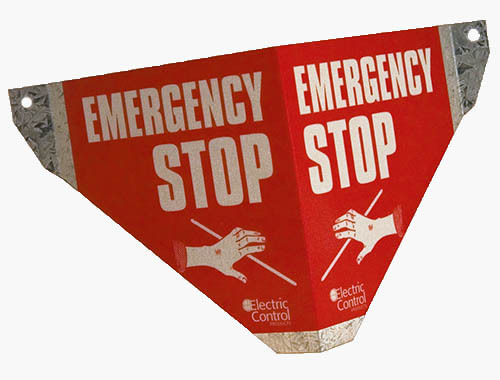 Electric Control Products is proud to be one of the few manufacturers of PBT/PC polymer safety switches in Australia which can be utilised in Ex zones. Our static dissipative polymer is flame retardant to VO standard, UV stable, high impact and permanently dissipative to under 10^9Ω. It is also manufactured using one of the first coloured static dissipative high impact materials in the world. For more information, see Product Materials. 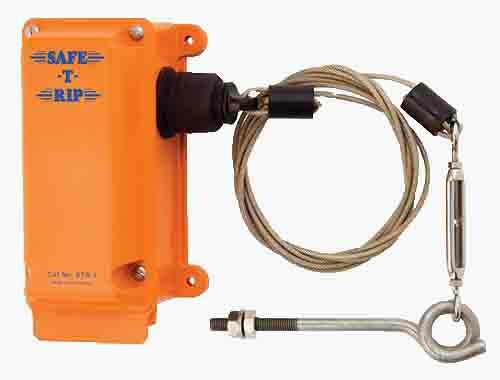 Safe-T-Rip (Static Dissipative/10^9Ω Surface Resistivity). Safe-T-Limit (Static Dissipative/10^9Ω Surface Resistivity). Safe-T-Drift (Static Dissipative/10^9Ω Surface Resistivity). Our range of safety switches are either PBT/PC or electro polished 2mm 316 stainless steel. A selection are also available in static dissipation PBT/PC. 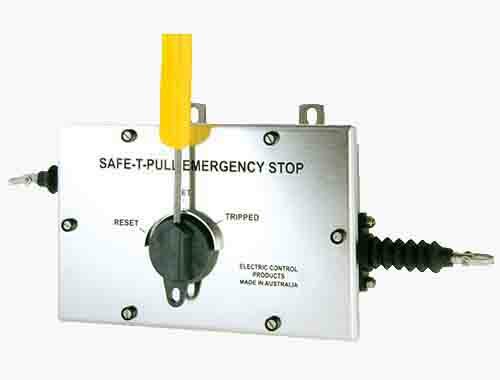 Safe-T-Pull (PBT/PV): Lanyard/Pull Key Switches. Pull-Safe (Self Resetting): Lanyard/Pull Key Switches. Safe-T-Rip (PBT/PV): Belt Rip/ Tear Switches. Safe-T-Pull (Electro Polished Stainless Steel): Lanyard/Pull Key Switches. Collide-Safe: Anti Collision Switch/Fail Safe Rip switch. Safe-T-Rip (Electro Polished Stainless Steel): Belt Rip/ Tear Switches. 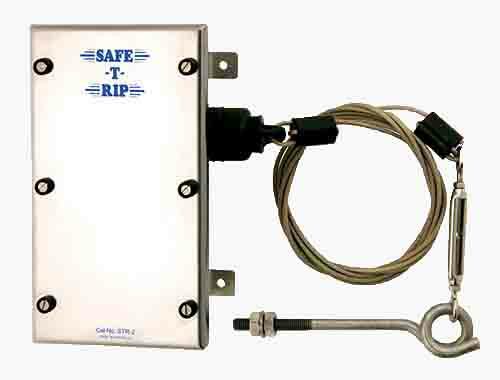 Collide-Safe (Self Resetting): Anti Collision/Fail Safe Rip switch. 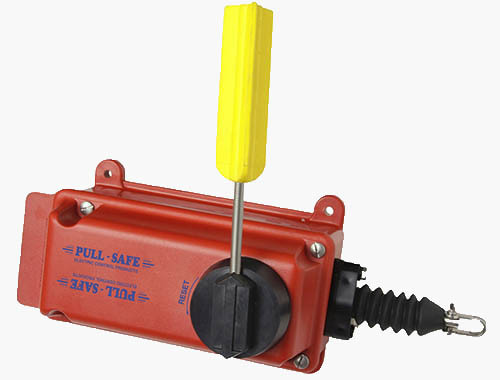 Safe-T-Limit (PBT/PC): Heavy Duty Limit Switches. Safe-T-Drift (PBT/PV): Belt Drift/Misalignment Switches. 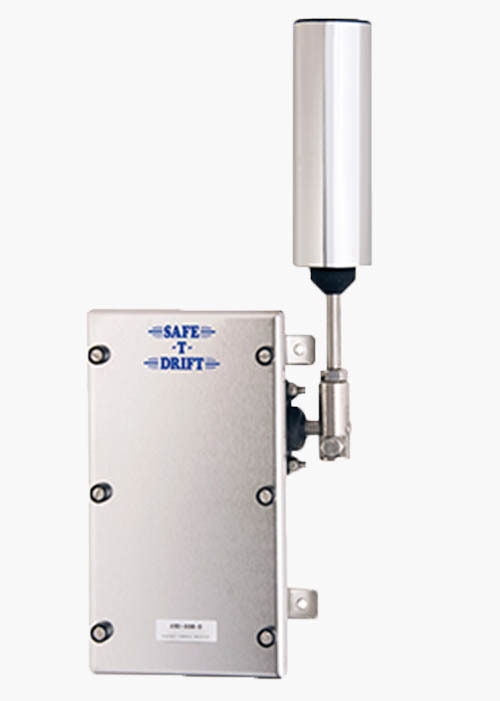 Safe-T-Drift (Electro Polished Stainless Steel): Belt Drift/Misalignment Switches.